For such a short stretch – Main Street in North Little Rock is often the place to be Rock City. From craft coffee and beer to wine and Italian cuisine, there’s a little something for everyone. Plus, the food usually accompanies some type of art, as Argenta boasts of one of the most organized and supportive areas for local artists in Central Arkansas. Ristorante Capeo – With chefs Brian and Eric Isaac at the helm, Capeo has been a favorite local stop for Italian food lovers for many years. Arguably some of the best Italian in the state, the eatery is intimate and cozy, and will easily check all your boxes if you’re looking for a classy night out with pasta and wine. Pro tip – don’t skip the Tiramisu – it’s one creamy delectable that’s to die for. Mugs Cafe – Whether you’re starting, ending, or right in the middle of your day, you could always use a good cup of java. Mugs Cafe takes their mission to bring quality coffee to those who need it quite seriously – and they do a fine job. Caffeine lovers can choose from a variety of brew methods ­– pourover and drip among others – to ensure they get their Joe the way they like it. 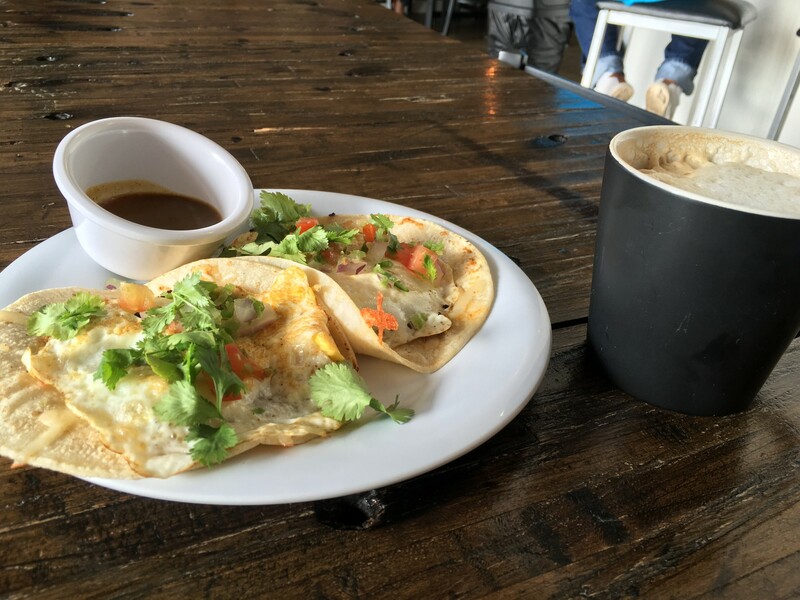 The menu is pretty spectacular as well, offering breakfast all day long with the beloved Breakfast Tacos and French Toast. Pro tip: check out the eatery on Saturdays, when they offer all you can eat pancakes while supplies last. 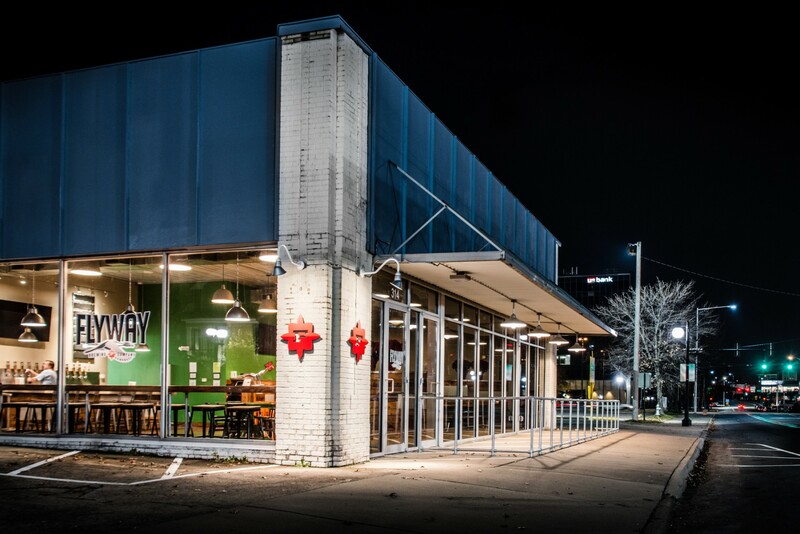 Flyway Brewing – From their humble beginnings homebrewing to their recent foray into menu creating, the team at Flyway Brewing has been on the move since before and since their grand opening late last year. Currently, the taps rotate between consistent, quality craft brews including the four main staples – Migrate Pale Ale, Free Range Brown Ale, Shadow Hands Stout, and the Early Bird IPA. Shortly after opening the brewery added mouth-watering pretzels with specific house-made sauces to pair with their beers. These days they’ve expanded their menu to offer sliders and nachos – don’t skimp on the Tofu Banh Mi or the Smoked Trout Nachos. Trust us, your taste buds will thank you later. Cregeen’s Irish Pub – More of a drinker’s paradise than a foodie oasis – the wide array of Irish whiskeys and stouts make the location the perfect hangout. The pub has an authentic Irish feel, and is also a great sports-watching perch for fans. Bonus, there is often live music, plus a fun patio section to watch the passersby, an especially desirable when Argenta fills up with people for a show at Verizon. The Joint Theater and Coffeehouse – Who doesn’t want comedy accompanied by craft beer? If that’s not quite your thing, you could always aim for live music and an espresso. The Joint hosts everything from live local musicians to an improv group every Wednesday. Plus, the stage is host to The Main Thing on the weekends, guaranteeing a good laugh for all. Skinny J’s Argenta – Whether you’re looking for a great place to take the family for dinner or an affordable boozy brunch, Skinny J’s aims to please. The menu has nearly everything you could ever dream of wanting, from steaks and burgers to pasta and seafood. Plus, there’s also a fair amount of sandwiches, salads and wraps. Don’t skimp on the crawfish dip if you’re in for lunch, but if you’re in for brunch, do ask for the mimosas. Crush Wine Bar – When you’re feeling classy and in need of libations, head to Crush. It’s especially perfect for when you’re ending your night after a show at Verizon or the Argenta Community Theater. The staff is extremely friendly and ready to answer your questions whether you’re a connoisseur yourself or just delving into the land of vino. Keep your eyes peeled for tastings and deals, and the occasional live music set. Diamond Bear Brewing Co. – One of Central Arkansas’ oldest breweries, Diamond Bear has more than just a fair few craft offerings to enjoy, including the Presidential IPA and the Dogtown Brown. They also have a pretty epic menu making the brewery a hotspot for a quick work lunch or dinner with friends. Among their sandwiches, which are pretty tasty, the Thai Chili Wings are pretty legit. Catch your game-of-the-moment on the screens or grab a brewery tour and then stay for a drink … or two. Four Quarter Bar & Grill – If live music is your staple alongside some Southern barbecue dishes and fast-hash, you’ve really got to get out to Four Quarter. Open nightly till 2 a.m., the establishment offers everything you could ever want – a full bar, live music, local beer taps as well as other craft offerings and a staggeringly underrated menu. You can’t go wrong when ordering the hash or barbecue – just remember to be patient. Good things come to those who wait. Reno’s Argenta Cafe – A true dive bar, Reno’s is an oasis for locals looking to wind down after a long day. You’re likely to see a chef or two as you raise your glass for another round. The pub food is decent enough, especially if you’ve got a friend or two to share it with. Bonus: Ceci’s Chicken and Waffles – Not quite in Argenta, but only a few blocks away on 324 E 13th Street, this gem can’t go unmentioned. Delicious chicken served on out-of-this-world waffles flavors – from Oreo to red velvet – this soul food joint is literally paradise. The sides are just as good or better as your Grandma’s, and you’ll likely leave a few pounds heavier than when you placed your order.